Mrs. Lucretia Lorraine (Olvey) Smith of Millington, Michigan passed away early Tuesday morning July 10, 2018, Lucretia was 79. 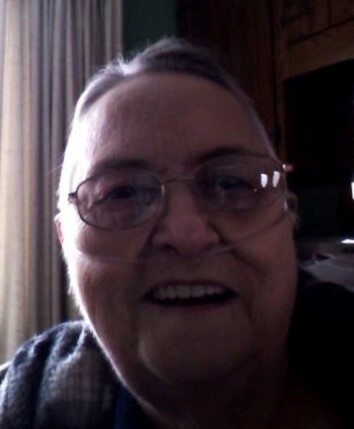 She was the daughter of the late Cecil and Marie (Kohler) Olvey and was born in Redkey, Indiana on June 4, 1939. Lucretia graduated from Millington High School, and after high school she married Byron Smith on June 8, 1957; and together they have celebrated 61 years of marriage. Lucretia retired from a small factory known as the Millington Screw Products. Lucretia was a member of the St. Paul Lutheran Church in Millington, Michigan. Lucretia leaves her husband; Byron. She also leaves her two children and their spouses, Leslie (Maureen) Smith, and Tracey (Kenton) Gleason. Lucretia also leaves four grandchildren; Trevor and wife Angel, Mellicha, Tyler and wife Lindsay, and Sydney, three great grandchildren; Sophia, Emelyn, and Knox. Her surviving siblings include; brothers James and Merrill, sisters, Regina, Nilah, Hazel, Ruth, Kay, and Linda, she also leaves several nieces, nephews, extended family and friends. Besides her parents Lucretia is preceded in death by a grandson Jamie Gleason. The family will receive friends at the Hanlin Funeral Home in Millington, MI on Thursday from 4:00 pm until 7:00 pm, and for a brief time Friday when Lucretia will lie in-state at the St. Paul Lutheran Church from 10:00 am until services begin. Funeral services for Lucretia will be held at the St. Paul Lutheran Church in Millington, MI on Friday July 13, 2018 beginning at 11:00 am. The burial will follow at the Millington Township Cemetery. Pastor William Smith will deliver the funeral message and committal prayers at the cemetery.